That picture on the left is a screen shot of my phone which I took in order to assure you that the voice you are hearing is of a regular user of this product. 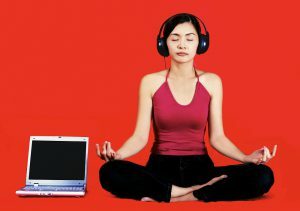 I have all the 24 audio sessions of the unlimited abundance program stored in my phone as these energy block clearing audios have become a part of my day to day life. I promise you that you will leave this page after having a clear picture of what you will be getting from this course, so make sure to read this post completely before you reach to any conclusion. 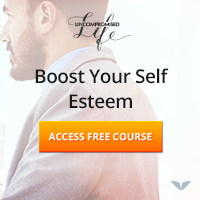 I have written a review of this course already and I keep referring this program on many of my posts. 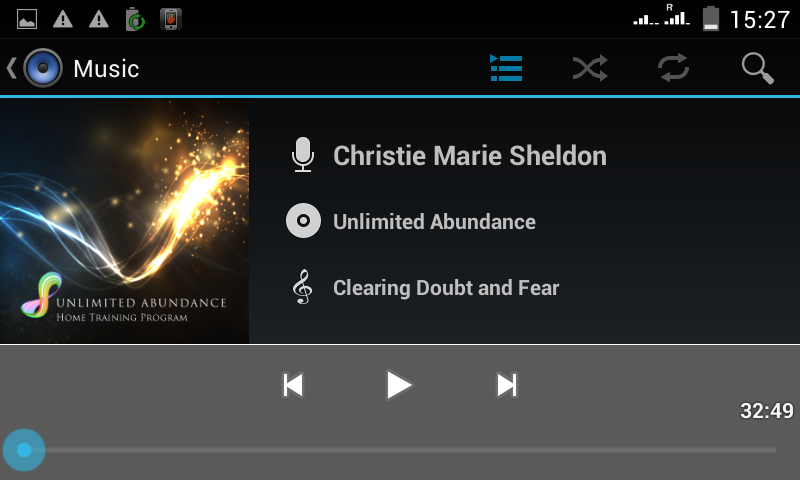 But, I am writing this one, especially for people who doubt if Christie Marie Sheldon’s unlimited abundance is a scam. 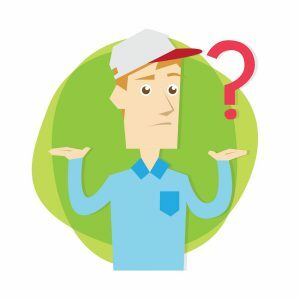 I can relate to people who are skeptical about UA course, it is very difficult for a logical minded person to believe in stuff like “energy clearing”, “mind reprogramming”, “abundance blocks”, etc. Even Vishen Lakhiani, the founder of the publishing company (Mindvalley) behind this product was skeptical about energy healing before Christie worked on his energy. My story is also a bit similar, although I used to like the videos of Christie and other Lightworkers on You Tube , when I was offered a discount on this product I was not that much willing to invest my money on something that just does not feel like a real deal. For me, at that time this was not an easily affordable product, so I did a research and as it was a new launch back then, you wouldn’t have found this much information about it on the internet, in a way that made it easy for me to find out the truth. If you don’t know, this program is a recording of 24 online live group sessions that Christie conducted for a selected group of people, so the stories of those people were my only hope. What I came to know from the opinions of the previous users were mostly positive and that made me more curious, but I really didn’t had the money to buy it and I was worried that the discount period will end soon. Then somewhere I read a story of a woman who wanted to be in that live group energy clearing session but was not able to afford it, she said that she set a strong intention of becoming a part of that group and somehow she manifested the money for that purpose. I did the same as I had nothing to lose in just setting an intention; I thought it was going to be money in case this setting an intention thing works, but what happened was very surprising. Someone paid back a debt to my father, which he wasn’t expecting at all, so he came to me and offered that he wants to buy me a gift and all I wanted was this course. Trust me, sometimes this setting intention stuff works miraculously and that’s why I suggest to those people who can’t afford that much money to try using my “3 Ways to Clear Your Energy Blocks” in order to manifest the opportunity first. The results with these energy clearance sessions vary from person to person. Honestly, I was just trying the program in the refund period and I thought of getting my money back if I don’t see any big result. 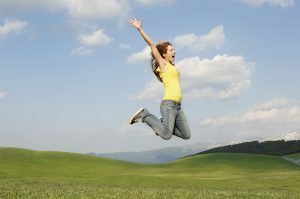 Few lucky people usually see a lot of changes in their lives after the first few sessions and some people have reported sudden shifts in their life situations, even with the initial listening to the audios, whereas some had to finish the course completely to see any significant change in their lives. I was not among the ones who manifested money or opportunities within a few days in fact, I reached to the end of the program without seeing any major change in my life. On my first go, I listened to a new session every day and completed the whole course within a month so that I could ask for a refund if it didn’t work. In that quick completion of the course I saw a shift in my emotional state, and that is what made me to do the course properly once again. If you decide to buy this program, then I would suggest you to go through each session more than one time and start a new session after a gap of at least 3 days. Now, I am a big fan of Christie Marie Sheldon and I have both of her popular products with me (love or above and Unlimited Abundance home training). Actually, due to the great results I had seen with these two courses, I have made them my top recommendations in this blog. 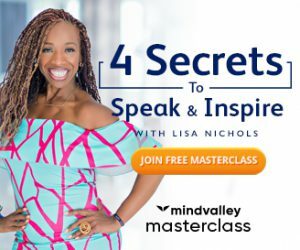 1 – The denseness of your limiting beliefs. 2 – Your resistance to the idea of energy clearing. You don’t actually have any direct control over the first factor and this particular thing is the cause of all your failures, with your persistent use of this program you will be able to peel off these negative beliefs rooted in your subconscious mind layer by layer and you will naturally begin to see the changes in different areas of your life. The second factor, however will only affect your success with this program till you accept that this thing can work, the more you will trust the process of “energy clearing” the faster you will be able to see the results. That’s the reason why Christie has put “clearing resistance” as the very first session of this program. If you will open yourself to receive what the program offers then you will start to see the changes in your own thoughts and feelings just after the first few sessions. Energy clearing is all about changing the beliefs present in your subconscious mind that runs the whole show of your life, your reality is a reflection of what happens in your inner world. You don’t necessarily need to know the whole mechanism of how the deeply rooted subconscious beliefs make you who you are, you just need to follow this program and your inner programming will keep changing as you make the energy clearing sessions a regular part of your life. Sometimes after listening these sessions you may also see certain old thought impressions (often disturbing) emerging up to the surface. This is your higher self showing you the baggage you have to make some progress in life. The best thing about this program is that the success you could expect from it in any area of your life is limitless. Suppose you want to earn a 1000$ extra every month. Christie described in the course that we all have “cross purposes” that block our desires from getting manifested. These cross purposes are created by the limiting beliefs that we hold in our subconscious mind. Once you have cleared all the beliefs that were blocking that extra 1000$, you will find a way to earn it. When you have accomplished a goal you can set a new one and use these clearing sessions to clear whatever energy patterns is blocking this new desire from getting manifested. This is why they call it the unlimited abundance journey. I have found Unlimited Abundance a very awesome product and it has been a great catalyst to my personal growth. I won’t say that I became super wealthy or manifested a big house after using this program, but I definitely got better in many areas of my life. Christie’s program has especially helped me with my online business journey and thus it has definitely affected my financial situation to a great extent. Even if you are very reluctant to the idea of anything that involves energy, vibration etc, I think you should give it a try to see if it works for you or not. For more information you can visit the product website here. I hope you enjoyed this post. What are your honest views on this product and Christie? Do you have any past experience of energy healing? I would love to hear from you, so please do share your thoughts with me by commenting below.